This groundbreaking study illuminates the Egyptian experience of modernity by critically analyzing the foremost medium through which it was articulated: history. 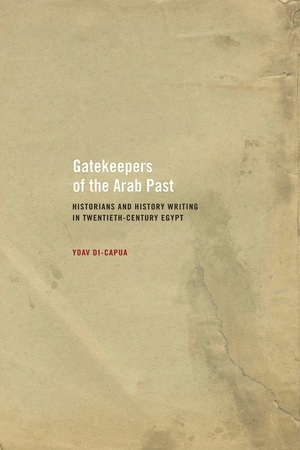 The first comprehensive analysis of a Middle Eastern intellectual tradition, Gatekeepers of the Past examines a system of knowledge that replaced the intellectual and methodological conventions of Islamic historiography only at the very end of the nineteenth century. Covering more than one hundred years of mostly unexamined historucal literature in Arabic, Yoav Di-Capua explores Egyptian historical thought, examines the careers of numerous critical historians, and traces this tradition's uneasy relationship with colonial forms of knowledge as well as with the post-colonial state. Yoav Di-Capua is Assistant Professor of History at the University of Texas at Austin.